Looking past the rather awkward name, the McNary Wildlife Nature Area is a great little spot for birding. The park, which came to my attention by hosting the recent Black-headed Gull, is located in the town of Umatilla, just downstream from McNary Dam on the Columbia River. Along with views of river, the park has several small ponds, areas of sagebrush, and riparian woods. The park can be reached from 3rd street, on the north edge of town. From Hwy 730, west of I-82, turn north on either Switzler Avenue or Brownwell Blvd, then east on 3rd to the park. If you are east of I-82, turn north on Devore Road, then west on 3rd. 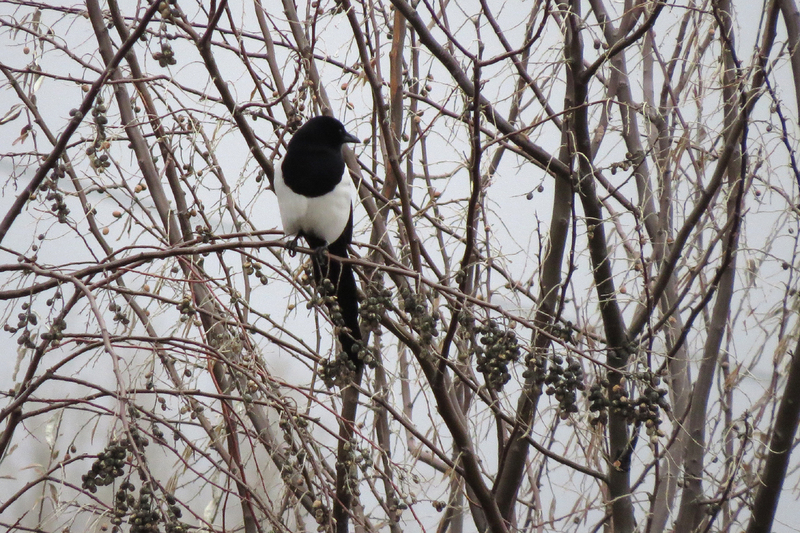 Black-billed Magpies are common in the area. I have always loved these birds, despite my total inability to get a decent photo of one. 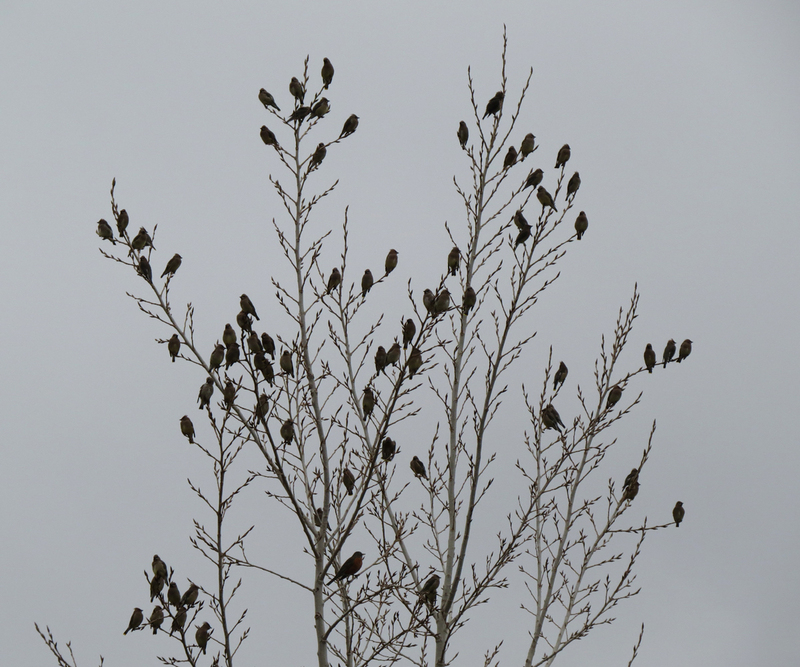 I sorted through hundreds of Cedar Waxwings, looking for the few Bohemian Waxwings that had been reported in the area, but I found no joy. 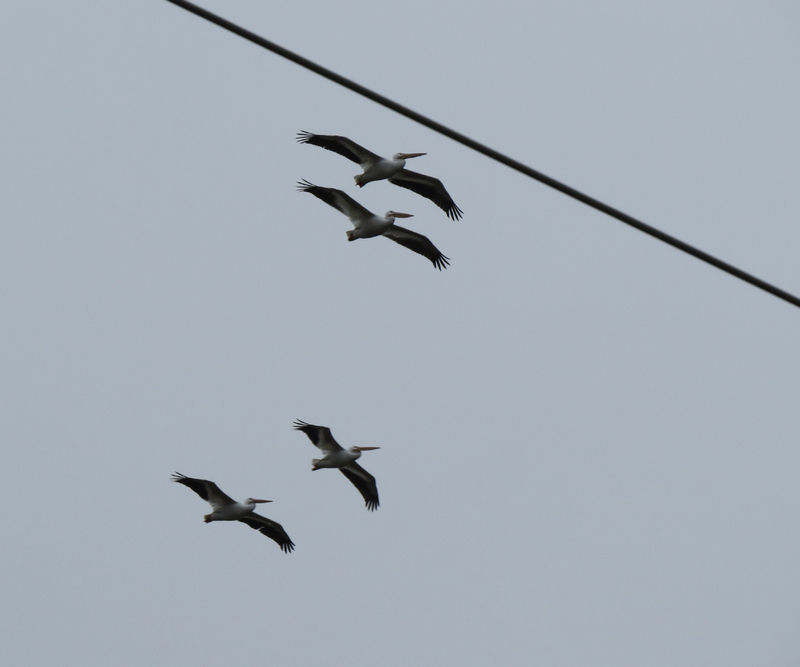 At least six American White Pelicans were using the park. 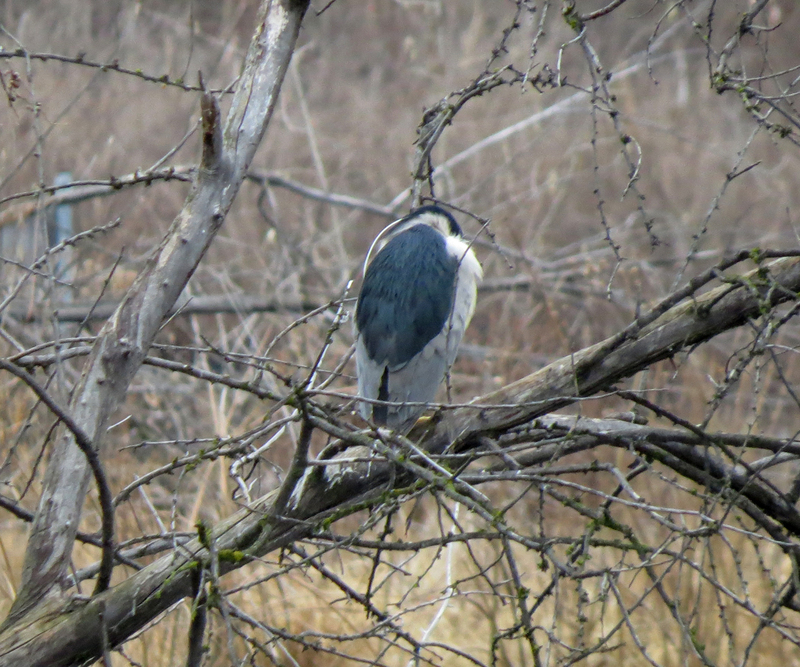 An island in one of the ponds serves as a roosting site for Black-crowned Night-Herons. 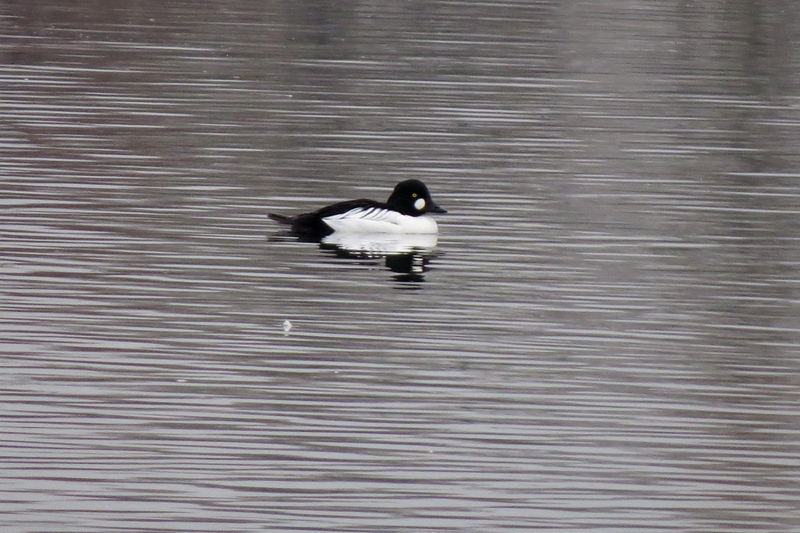 There was a nice diversity of waterfowl, including this Common Goldeneye. 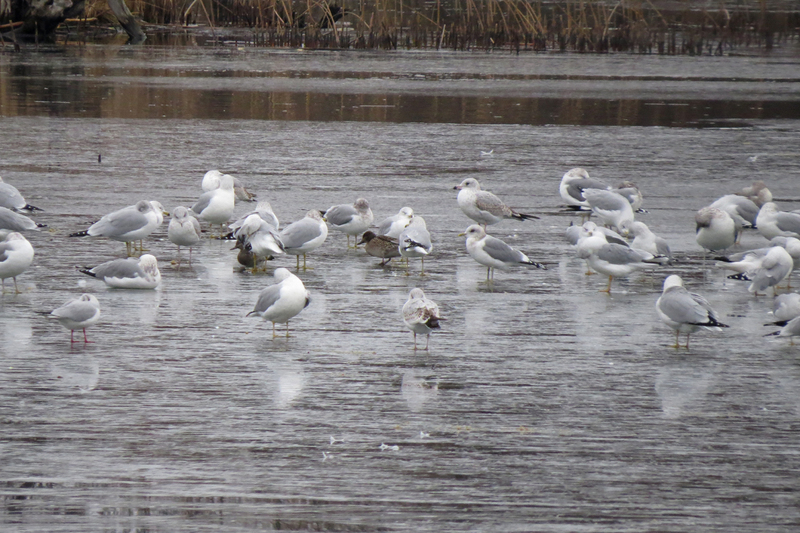 Gulls were well represented. Along with the abundant Ring-billed, and the famous Black-headed on the left, this shot shows a Mew (just right of center) and a California (right edge, gray legs). Herring and Glaucous-winged were also present. 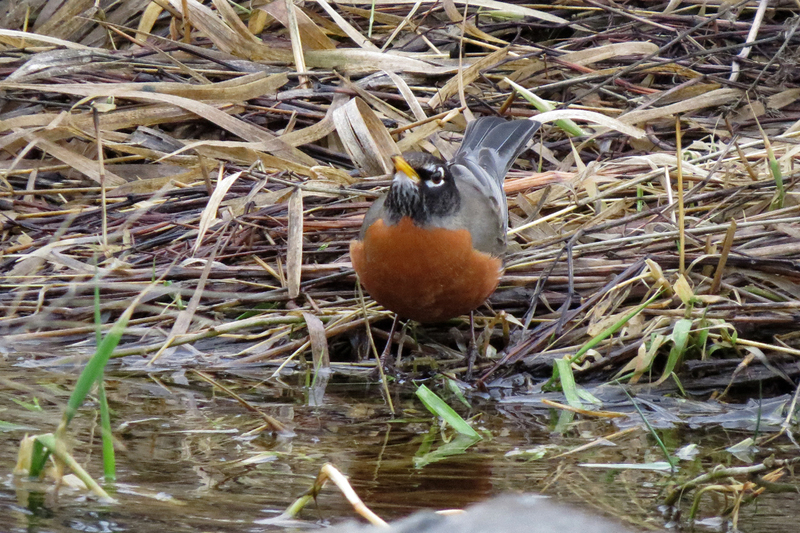 American Robins and other songbirds were abundant in the brushy areas. A very birdy area overall. 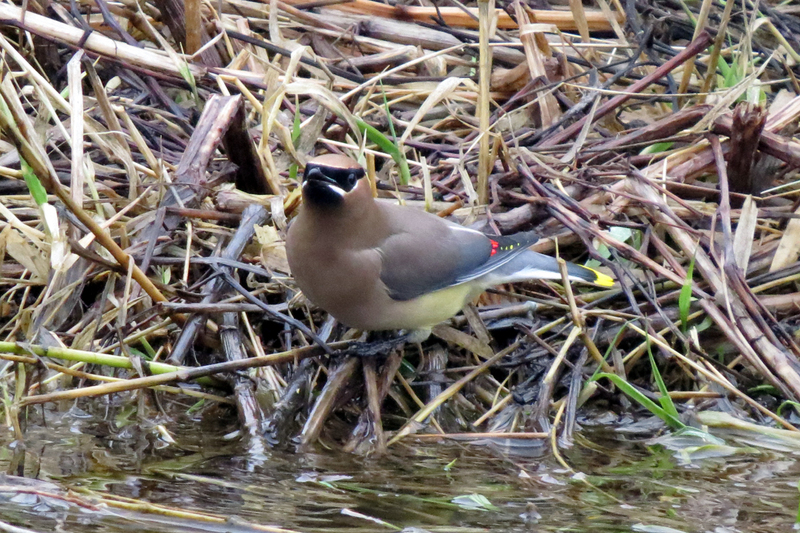 This entry was posted in OR Birding Sites and tagged American Robin, American White Pelican, Black-billed Magpie, Black-crowned Night-Heron, Black-headed Gull, California Gull, Cedar Waxwing, Common Goldeneye, Mew Gull, Ring-billed Gull. Bookmark the permalink.